Popshop meets Smooth Attack: We are not sure if you have already listen to this fancy remix which we produced some time ago. This song was originally released on the debut album «Music For The Lonely Island.» Producer: Martin Akeret (Popshop) | Singer: Sarignia Bonfà. Enjoy! 31.10.2018 FOURSOME: NEW EP OUT NOW! Finally, it's done! Our brand new EP «Foursome» is available in your favourite digital store now (Spotify, Apple Music and in many other shops). This Summer we recorded all the beautiful tracks at the well-known Hardstudios, Winterthur – produced by Andreas Hunziker. You can buy these fresh sounds also in superb quality on Bandcamp! Thank you for your appreciated support. 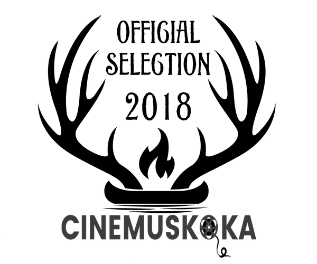 We are really proud to announce that our music video work «Desire, Fantasy & Art» was selected for the Canadian film festival Cinemuskoka from August 31 to September 2nd 2018! Wir möchten uns beim Publikum und der Presse bedanken für die schönen Reaktionen zum Konzert auf der Albanibühne am Albanifest 2018! Speziell erwähnt sei das Feature im Blick am Abend und der freundliche Support im RonOrp-Newsletter. Auf SoundCloud gibt es das ganze Live-Konzert zum Nachhören! Und reichlich famose Fotos zum Konzert seht ihr in der Gallery. PS. Ab sofort liefern wir die News in Deutsch oder Englisch, je nach Ereignis! We are quite proud to present our live show at the well-known Albanifest 2018 in our hometown Winterthur on June, 30th. Watch the fancy trailer right here! 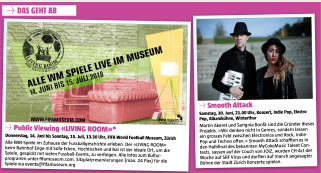 If you live near Zurich-Winterthur-St.Gallen there is no excuse not to come to your next shows. Don't miss these opportunities! In the meantime have a look at our gallery update. 21.03.2018 New EP «Reconnect» in stores now! Listen to our new 2-Track-EP «Reconnect» which contains our fancy videoclip song «Desire, Fantasy & Art» and a complete new track called «Reality TV». You can support us if you buy this fresh record in your favourite digital store, for example at Apple Music | Beatport | Juno. And last but not least: Come to our live shows, too! 02.03.2018 Selected for the SRF-Playlist! Fantastic news: Our new video work «Desire, Fantasy & Art» has been selected for the latest SRF-Roboclip-Playlist and this means that you can watch it on TV – starting today! 20.02.2018 New song: Reality TV! Dear fans and supporters! Our latest single track is available on SoundCloud. Dark, deep and nevertheless powerful with profound lyrics - this is Reality TV. Check it out as part of the new RECONNECT EP and share the music with all the people you know. 20.01.2018 Big videoclip finished and ready to watch! There are six months between the first ideas and the finished movie: Watch our new big video work and single release «Desire, Fantasy & Art» and share the news with all the people. You'll see the unusual daydream story of a night watchman and maybe – a unicorn and other strange characters! The song is exclusively available on Bandcamp. Check it out here! Exciting news: In January 2018, Smooth Attack will release their brand new video work «Desire, Fantasy & Art», directed by Dominik Fehr (DOGE Pictures). 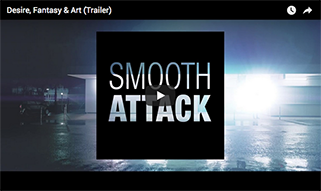 The trailer is ready to watch – right here! This autumn we played some new shows in beautiful locations and there are fresh live videos and photos available – check it out here. Exciting news: We’ve played our very new live set up at Killbi in Hombrechtikon and we are happy to hear all the positive feedback we have received. Next gig stop: 09.09.17 at 42er Pub Opening in Laufen BL. Welcome on board: We are currently working on exciting guitar tracks for our upcoming live shows and new song productions. 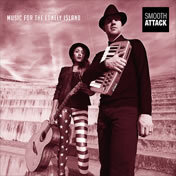 This is of course a real extension for the electronic sound of Smooth Attack. Raphael is our new band member since June 2017 and we are looking forward to our future plans. More about him soon on this page. 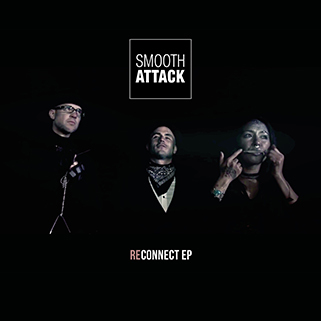 19.02.2017 Smooth Attack: The story continues! Good news, everybody! After an artistic break, Martin and Sarignia decided to write new songs and lyrics. Stay tuned for more of the action this year. Have a look at the latest live recording video here. And please follow us also on Facebook! You didn't hear from us since quite a long time. We apologize for that! In the same time we'd like to let you know that we have some personal changes within the band this year. You will hear the latest news whenever we know more. Now it's time to look back at our succesful stories in 2014. Our praised album is still available in many shops worldwide. Take care and keep in touch. 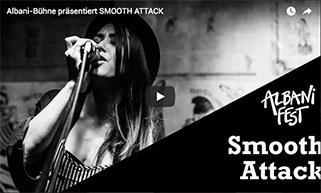 25.06.2015 Smooth Attack on BalconyTV! BalconyTV – a worldwide phenomenon! 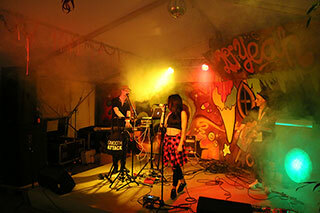 Artists like Mumford & Sons, Jessie J, The Script, Passenger or Ed Sheeran also played at BalconyTV. Now, we are part of the show as well. Watch the performance of our unreleased song «Day Off». 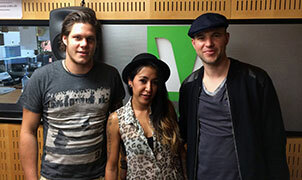 The Zurich Channel is on air now – thanks to Christoph Soltmannowski, Tanya König and Moritz Schmid! 01.01.2015 We Make It – We are online! You know we have had an amazing year when we released our very first album in 2014. We became «CH-Act of the Week» on SRF Virus and we qualified for the semi-final at the MyCokeMusic Soundcheck Talent Contest. We want to continue our beautiful story but we need your support – we would like to shoot a new videoclip and we will record an ep of four new songs. When you take part you are automatically a part of our project. Each of you will get a reward when you support our campaign. Thank you very much! 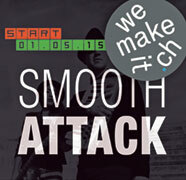 29.04.2015 We Make It - With You! 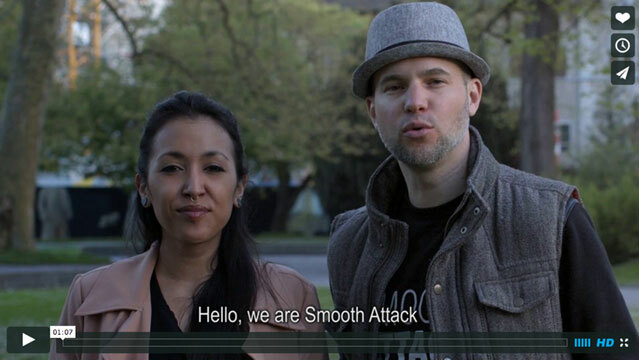 Hello friends and family members, we'd like to let you know that the Smooth Attack crowdfunding campaign «Videoclip + EP» starts on 1st of May! Please watch our project video. :) More informations about that on wemakeit.ch in the next days. Thank you very much for your appreciated support. 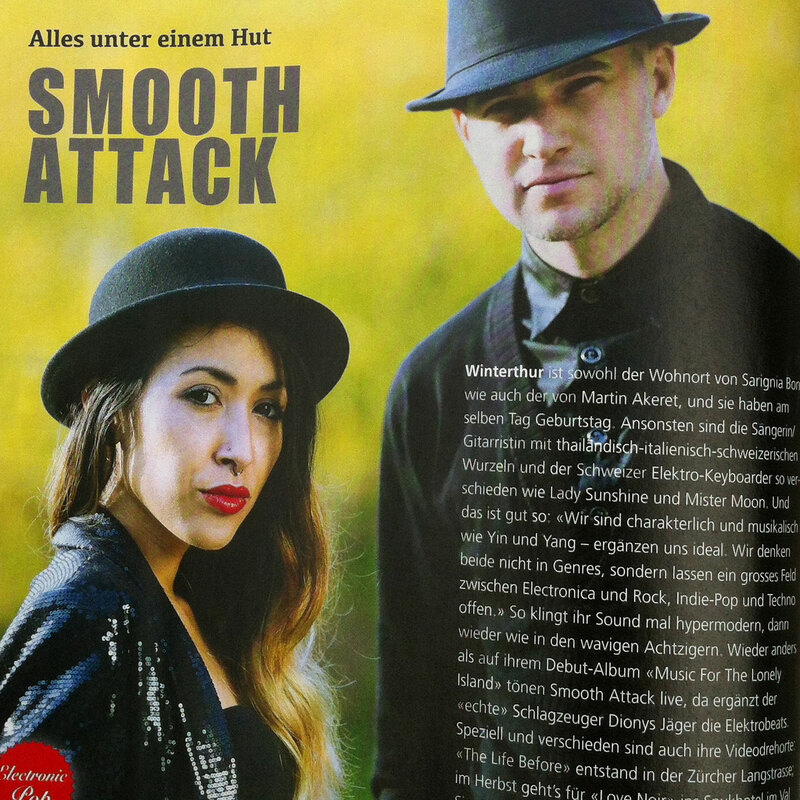 17.02.2015 Another beautiful article and concert preview at Coucou Magazine! 13.01.2015 Gurtenfestival 2015 – «Waldbühne» Voting! Ladies and gentlemen, of course you know the famous Gurtenfestival near Berne, Switzerland. With your appreciated help we got the unique chance to play there, but we need every single VOTE. Just click here and vote once – that's it! After mARTin's accident in November (shoulder rupture) we were forced to switch our concert at Widder, Winterthur but we have already found a new date – 21th of February! Before that show we will play at Langstars in the heart of Zurich on Friday 23th of January. Join us! There are some catchy live review snippets from our latest shows at Bar Rossi and Henrici (Zürich) and in the meantime we have already started writing new songs after our debut album release period. You can already listen to the first unreleased track «Desire, Fantasy and Art» on soundcloud. 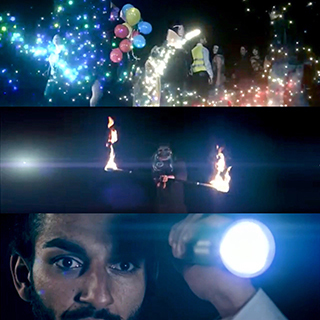 By the way: Our official videoclip «The Life Before» gets so many clicks! We are very pleased to announce further concerts! 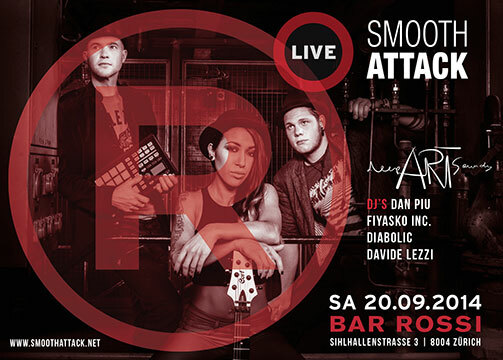 We will play at Bar Rossi the 20th of September and also on Christoph Soltmannowski's big Birthday Party at Perron 9, Zurich the 3rd of October. And last but not least we got another two confirmed live shows at Henrici, Zurich (21.10.) and Widder (Winterthur) in November. Have a look here! It was the «final countdown» of the Mycokemusic Soundcheck Talent Contest 2014: All 12 selected bands were invited to be part of the show on JOIZ. 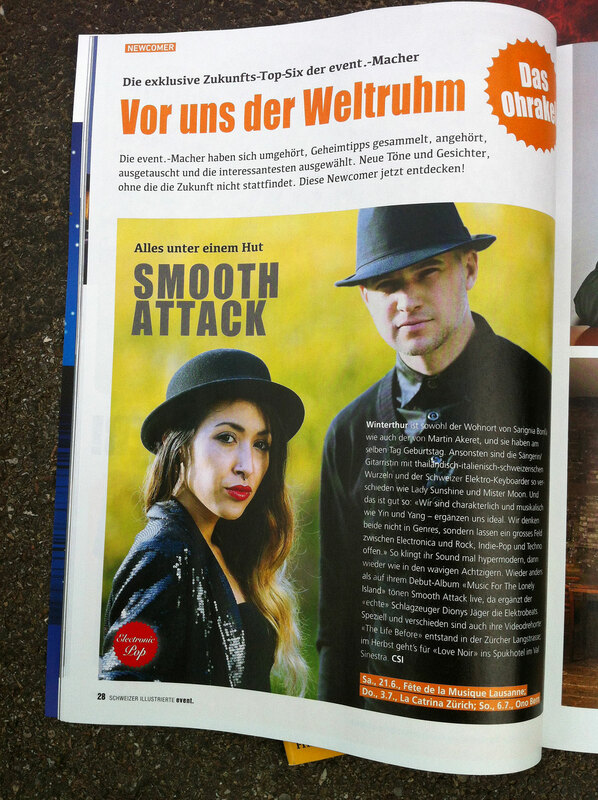 There was also an interview with Smooth Attack and although we have not made it to the big final of the last three acts, the whole voting period was a very positive experience for us: a lot of press articles, radio interviews, features in the television. Download here. 14.08.2014 Support us – vote for us – each day! We have the unique chance to reach one of the three final slots at the big mycokemusic Soundcheck Talent Contest 2014. The following link will be online between 15th of July until 19th of August. Each user got one vote per day – don't miss to support us! 05.08.2014 CH-Act of the week on radio SRF Virus! We were invited to have an interview with Dominique Marcel Iten on Radio SRF Virus. Feel free to download the complete podcast file (mp3) here (German). Breaking News: We have reached the semi-final at the big MyCokeMusic Soundcheck Talent Contest. (Top 12, Jury Selection - out of 179 registered bands). We are invited to a professional photo- and videoshooting in Zurich on 29th of June. More informations very soon. This is an outstanding feature in the official event Magazine and we are grateful and honored! It's a presentation of the latest newcomers around and we are on the top of this list. Language: German. Number of copies: 200'000. Thank you – Soltmannowski Kommunikation GmbH. After a working period of 16 months it's available now: Our debut album "Music For The Lonely Island". The work contains twelve own songs and a remix by masseDefekt, a friend living in Leipzig, Germany. Our "baby" will be released on the German Label Timezone and it will be distributed worldwide as physical release (cd digipac) and also as digital download (iTunes, Beatport, a.m.o.). The album is diversified – from modern electro synth pop to indie electronic guitar rock. You can hear sweeping sound arrangements, individually beats and profound lyrics and vocals.